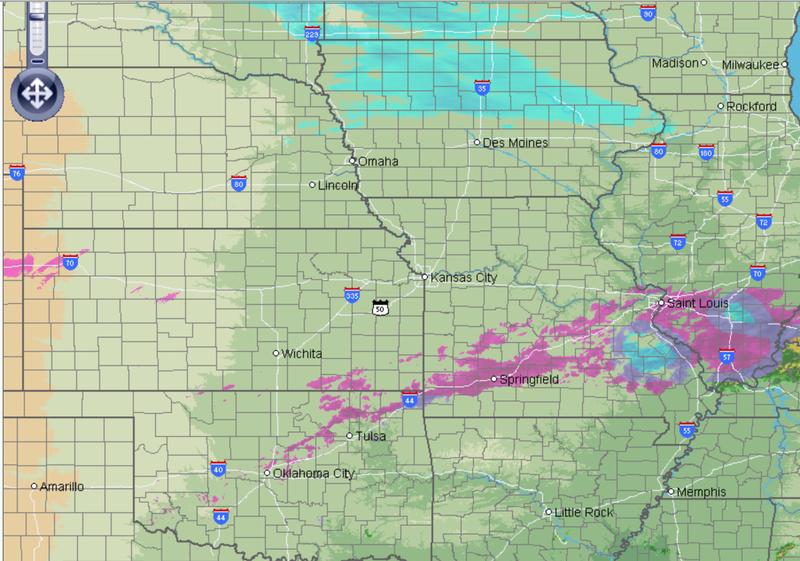 The storm, as expected, has begun over the Ozarks and into southern Illinois. It will grow and extend to the north and west over time. Please also note the snow in Iowa. 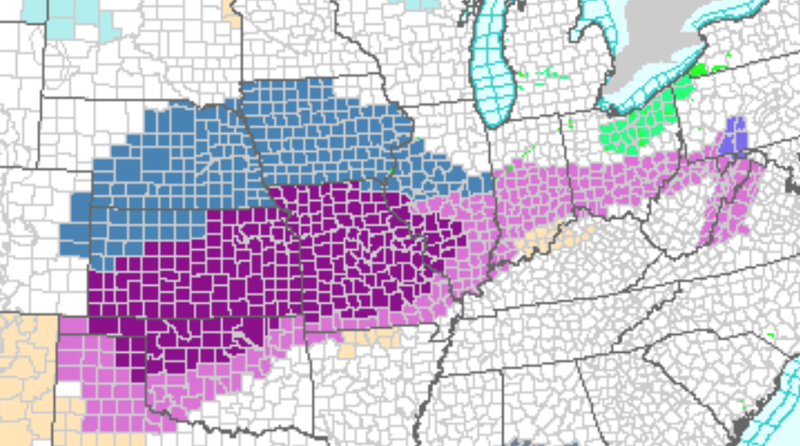 Ice storm warnings (deep purple) are out for much of Missouri, Kansas, Oklahoma and the Texas Panhandle. 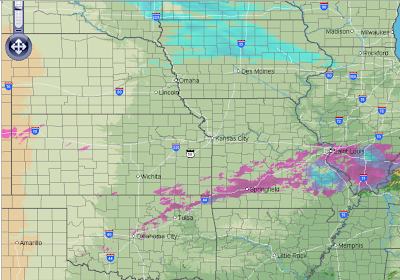 Freezing rain advisories (light magenta), which are a lesser condition, are out from the Appalachians to west Texas. The deep blue is a winter storm watch.